Hi, it’s Said from the Developer Community at Hewlett Packard Enterprise (HPE). This month we wanted to talk about partnerships and cross-enterprise collaboration. 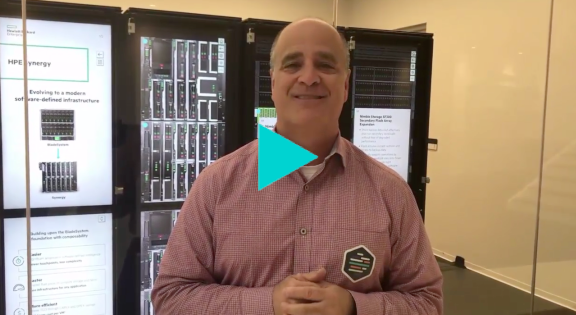 I’ll let Mark Potter, Chief Technology Officer at HPE and Director of Hewlett Packard Labs, tell you how these partnerships impact the collaboration and work in the HPE DEV community. As we look into partnerships and the ways they can benefit developers, one of HPE's longest standing alliances has been with Microsoft. Let’s focus on a recent engagement with them and the work we are doing together: HPE ProLiant for Microsoft Azure Stack. Microsoft Azure Stack is an extension of the Azure public cloud that lets businesses build and deploy hybrid applications anywhere, which is a boon to developers. It lets DevOps engineers leverage the same tools and processes they are familiar with in Microsoft Azure to build either private or public cloud instances of Azure, and then deploy them to the cloud that best meets their business, regulatory, and compliance needs. Microsoft Azure Stack also allows businesses to speed development by using pre-built solutions from the Azure Marketplace, including many open source tools and technologies. To help you get started on your journey with Microsoft Azure Stack, HPE and Microsoft built Azure Stack Innovation Centers. Staffed by HPE and Microsoft subject matter experts, Azure Stack Innovation Centers leverage the latest infrastructure and software solutions--so you can simplify and accelerate your hybrid cloud journey. We’ve also launched an HPE ProLiant for Microsoft Azure Stack platform page on the HPE Developer portal. There, you will find new open source projects and resources to help with discovering and utilizing Microsoft Azure Stack. This November, HPE DEV will be at HPE Discover in Madrid, presenting multiple developer-focused, interactive workshops. Attendees can also take the information they learn in the workshops and enter 2-hour hackathons on topics we know you’re eager to tackle. For a complete list of HPE DEV activities, check out the HPE Discover Content Catalog. In December, HPE DEV heads to Seattle for KubeCon, a conference dedicated to Kubernetes and other cloud native technologies. On Monday, December 10th, the day before the conference starts, we will be hosting a free one-day event dedicated to getting hands on with HPE hybrid cloud and container solutions. Open to all KubeCon attendees, the interactive workshops will focus on HPE OneSphere, Storage for Containers, HPE Synergy with Image streamer, and Azure Stack from Microsoft! Register for this workshop today. 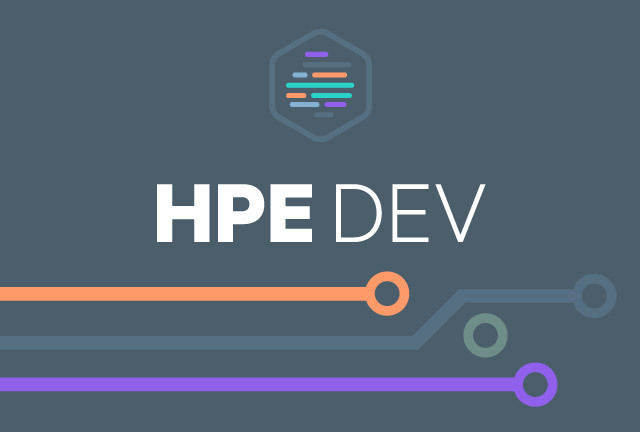 For the latest news and updates from HPE DEV, dive into recent developer blogs and associated content from the HPE DEV community. Staying up to date with our latest how-to’s can give you quick insight into technical challenges you may be facing as well as suggestions on how to resolve them. Another of HPE DEV’s strategic partnerships is our work with Chef and the integration with HPE OneSphere. This blog takes an in-depth technical look into how Chef deployments meet compliance requirements using InSpec and Chef Automate. You see the steps needed to perform a compliance scan on a Linux VM deployed in AWS public cloud and a Windows server running on an HPE Synergy cluster in a private data center, both managed by HPE OneSphere. You also learn details on how to create new InSpec profiles for compliance requirements, run them on HPE OneSphere deployments, and view the results in Chef Automate. For developers using both cloud resources and traditional IT, complexity can be a challenge. These developers must rely on internal IT operations to give them access to onsite resources, which can slow projects by days, weeks, or even months. Sound familiar? This blog shows how developers can be enabled to have more ownership of their applications’ lifecycles — from development through production deployment. We talked about Azure Stack uses and benefits earlier; now let’s have a look at some deeper technical content. The Azure Stack cost monitor scripts are used to pull resource consumption data from an Azure Stack instance. This data can then be imported, manipulated, and displayed in a variety of ways. This blog describes how to pull this data and provides an example of what it looks like when displayed in a PowerBI dashboard. Transforming your operations into one that can embrace rapid iterations and failing fast, rather than failing silently, is one that pays off in the long run. Embracing a DevOps practice allows companies to do this by expanding agile practices beyond IT, shifting left (testing early) within a continuous culture, and embracing the right kinds of failure. This blog explores the ways companies and developers can drive this kind of transformation. Simply put, the goal of DevOps is to change and improve the relationship between development and IT Operations teams. To do so, businesses need better ways to communicate and collaborate, which calls for news skills and different ways of thinking. DevOps provides a vehicle for organizational transformation from siloed, traditionally adversarial groups to collaborative, shared ownership teams with a common goal and collective responsibility. That’s the kind of deep transformation that can give companies a competitive advantage in the marketplace. Input from our community determines our focus, so keep sending us your feedback. Got an idea on how to make our portal more useable? Drop us a line, and we’ll see about getting it added. Have some code or a technical blog you want to share? Chances are good someone else in our community is eager to see it as well. And chances are equally good, there’s some knowledge on our site from one of your peers that’s just right for your latest project. Come join our growing ranks and see for yourself. The strength of our developer community is driven by you. You can also join the conversation on our Slack Channel and learn from your peers and contribute your insights right away.